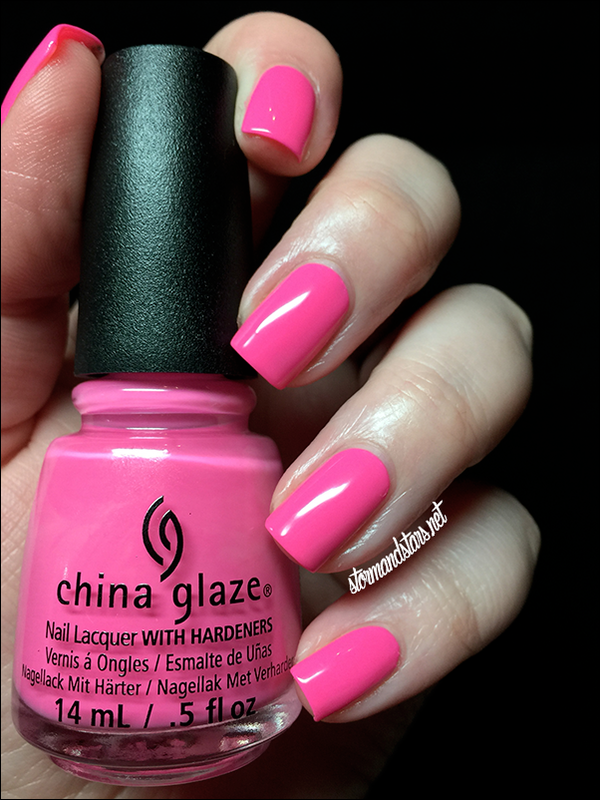 I finally completed the 2nd half of the gorgeousness that is the China Glaze Electric Nights collection. I've had the worst luck with my swatch hand nails the past few weeks but they finally grew out enough and held out long enough for me to get the remaining 6 polishes photographed. 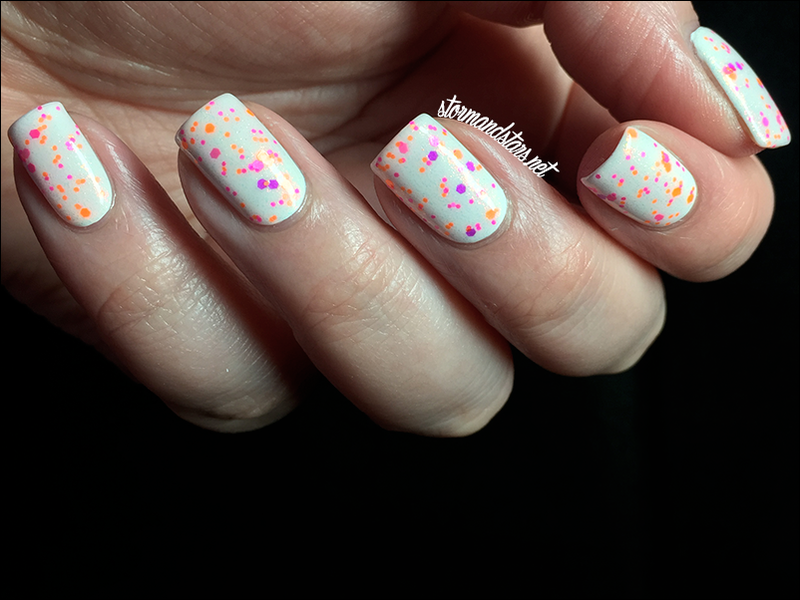 There are three cremes in this post and the other three lacquers are neon glitter in clear bases. I absolutely in love with all these shades, but lets start with Glow With The Flow. First of all, no it does not glow, unless you are using a blacklight. 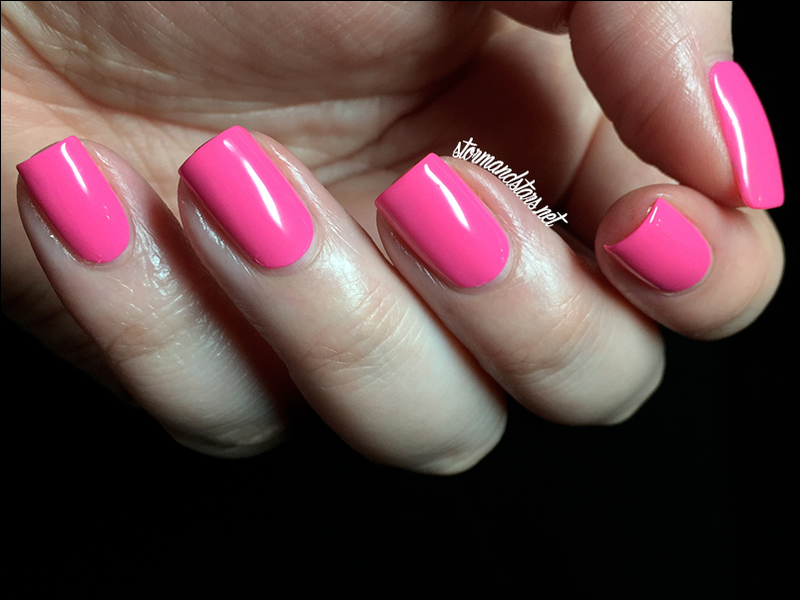 This neon pink creme is absolute perfection. Barbie could not have done better herself. 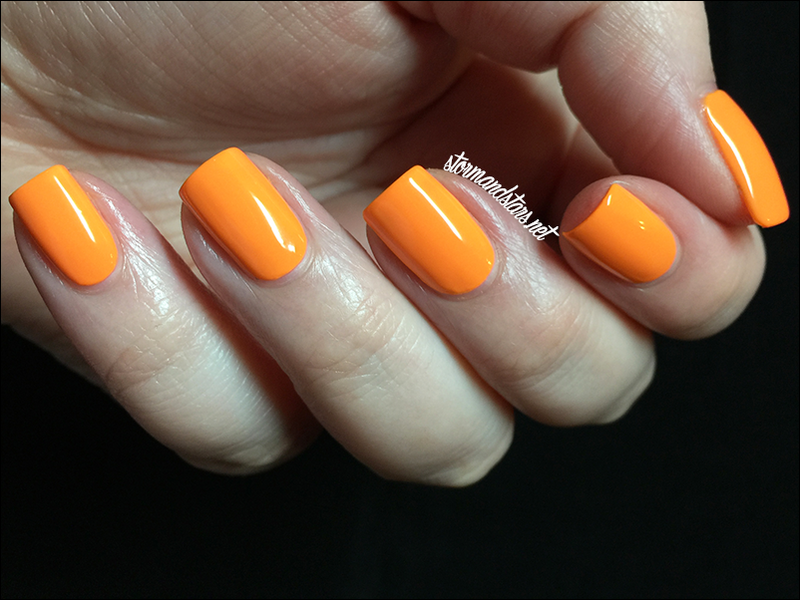 I painted on three thin coats of Glow With The Flow and photographed it with no topcoat. The formula was thin but easy to work with. Next up for the cremes is the eye searing Home Sweet House Music. 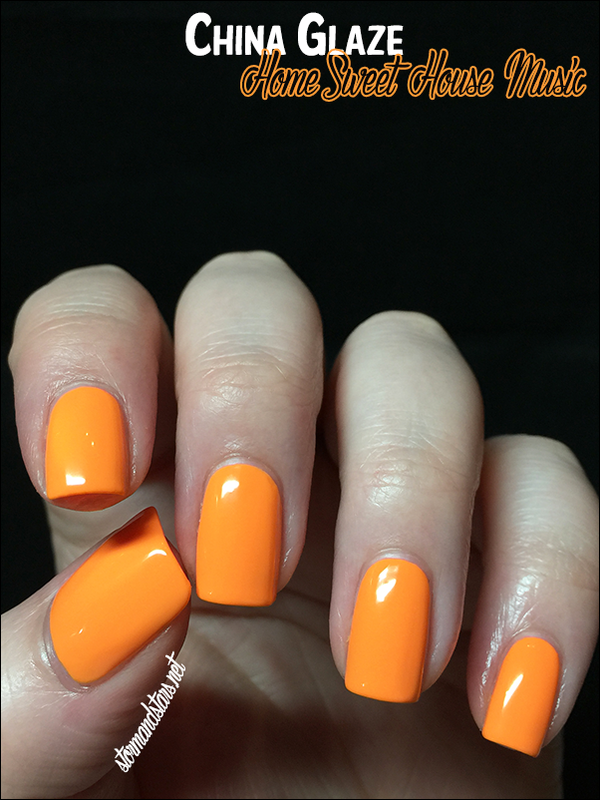 Home Sweet House Music is a neon orange creme that dries to s shiny finish. It reminds me of Nacho cheese or radioactive cheetos or something. Its really amazing haha. Love it. I used three thin coats of this lacquer for these images and it applied smoothly. The formula is a bit on the thin side, but if you take your time and don't get too much product on the brush there are no problems with it. 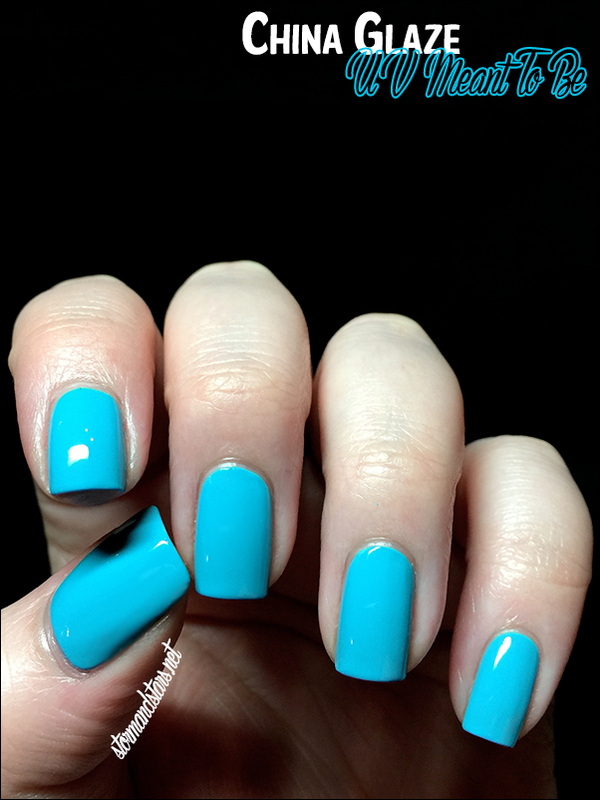 I did not add topcoat for the photos. Last up for the cremes is my favorite of all the cremes in this collection. This is UV Meant To Be. 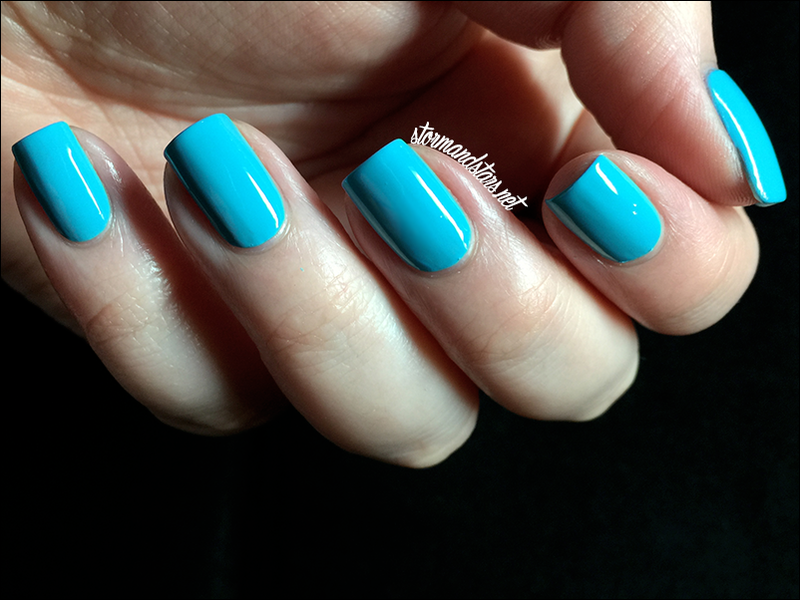 UV Meant To Be is a super bright blue creme that screams summer. Another that I really love on me. I painted on three thin coats, though I probably could have gotten away with two if I had been a little more careful. 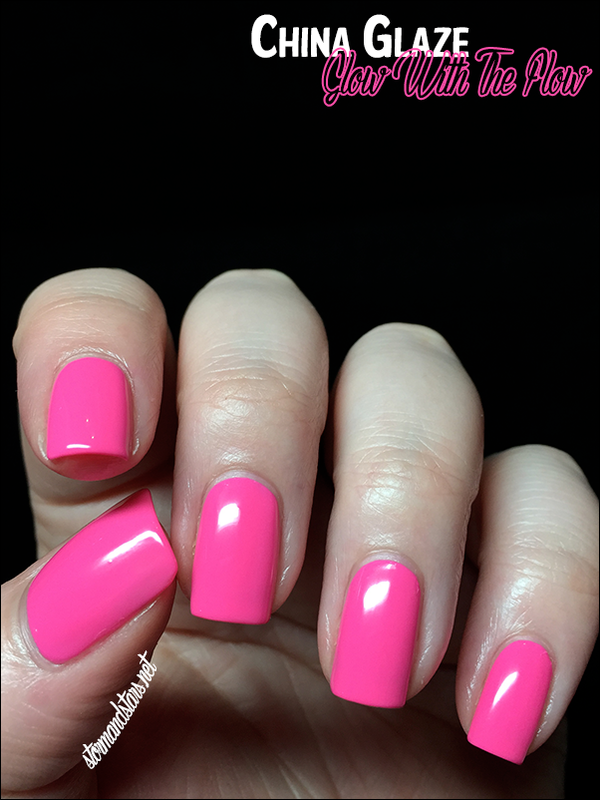 The formula was about the same as the other cremes, thin, but easy to work with with a shiny finish without any topcoat. Moving on to the glitters in the collection, first up is Can I Get An Untz Untz. First off, this is my favorite name of the entire collection. 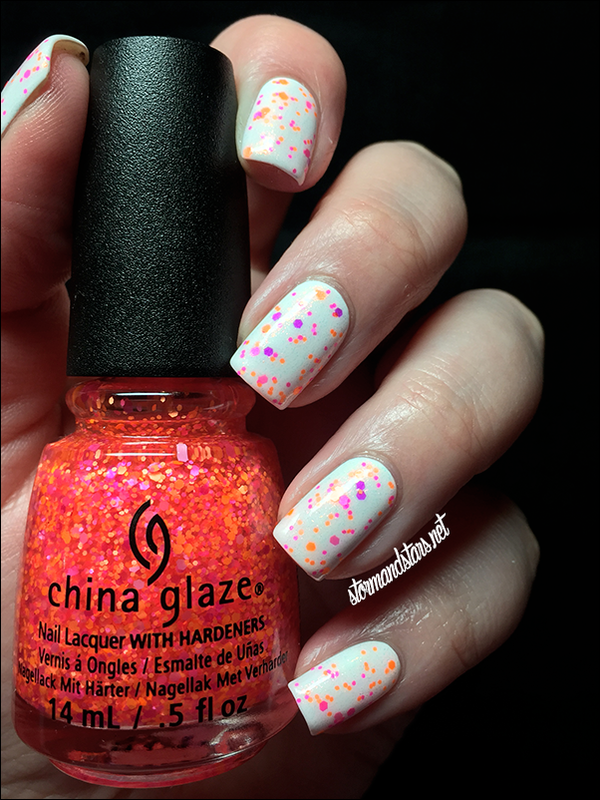 As a former raver and electronic music fan, I really enjoyed the names of all the lacquers in the collection, but this one made me giggle. 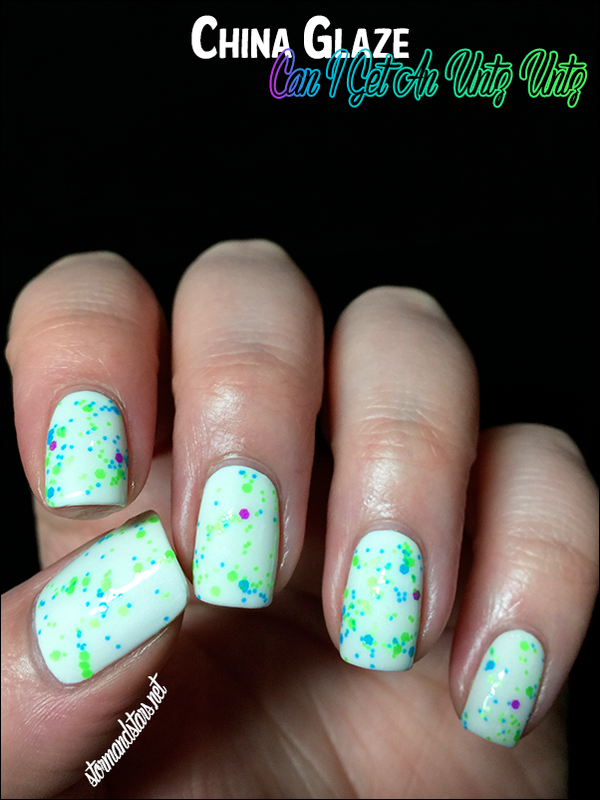 Can I Get An Untz Untz is a clear base full of neon blue, green and sparse purple glitters in varying hex sizes. 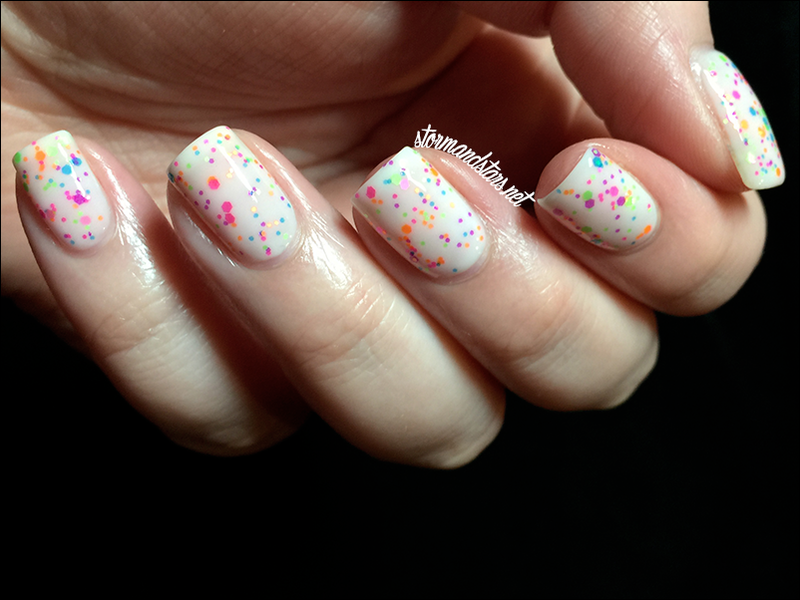 I layered one coat of this glitter polish over Manglaze Mayonnaise, a white shimmer lacquer, for this look. I added topcoat for the photographs. The glitter in this polish is suspended well and I got plenty on my nail with one swipe. I didn't have to fish for glitter and the base wasn't too thin or too goopy. Next up is another fun glitter, this is Let The Beat Drop. 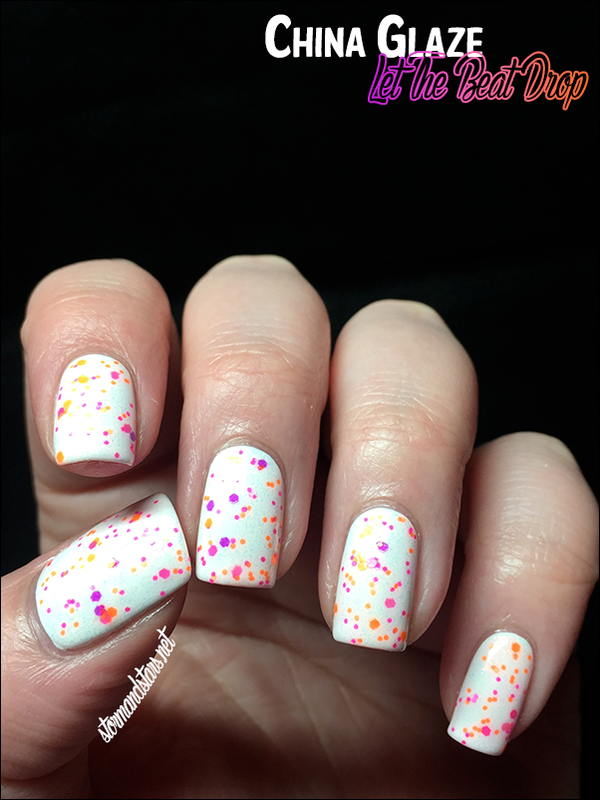 Let The Beat Drop is a clear base loaded with magenta, pink and orange neon glitter hexes in varying sizes. I love it over white! 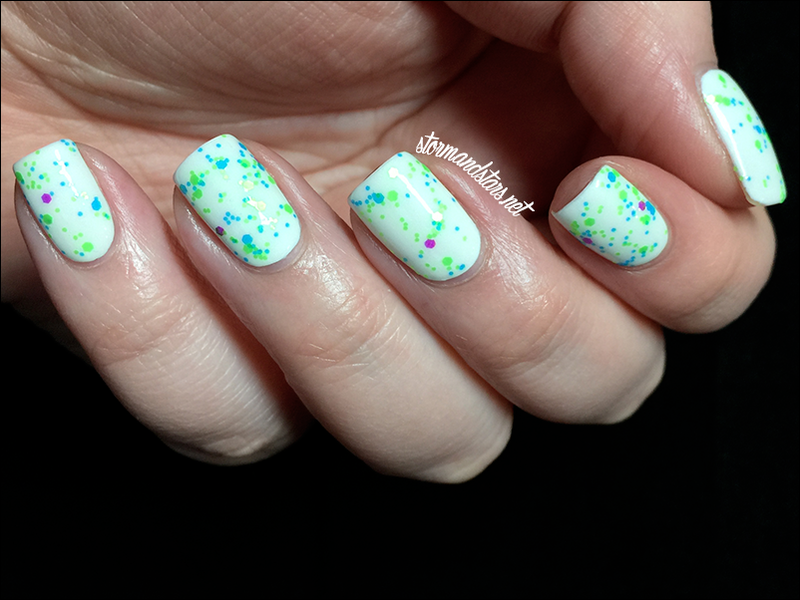 I painted on one coat of this neon beauty over a base of Deborah Lippmann Fairy Dust and then topped with a shiny top coat. I only wish that you could all see how pretty they are together since the photos washed out the pink shimmer in Fairy Dust. Last but definitely not least is my favorite of the glitter pairings. Here is Point Me To The Party. 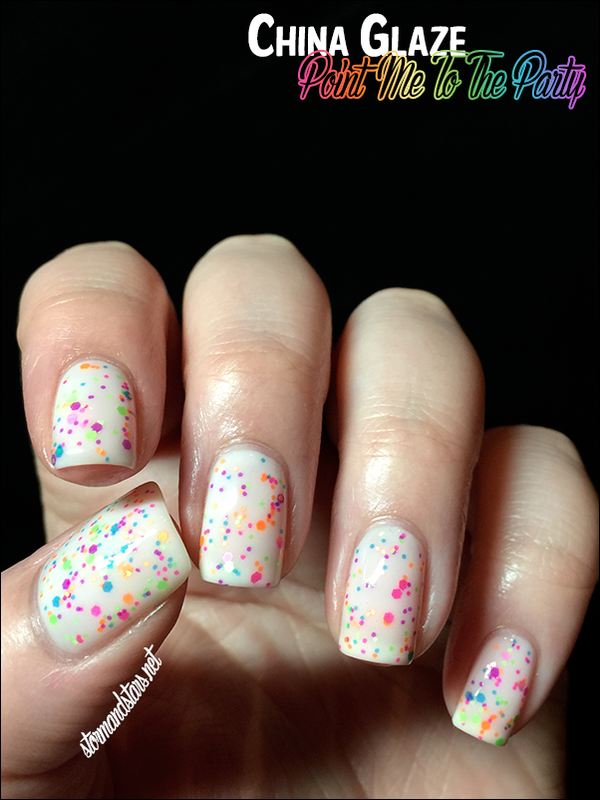 Point Me To The Party is a clear base swimming with a rainbow of neon colors in different sized hex glitter. I'm super in love with this look for summer and am thinking about some nail art I can do with it for sure. 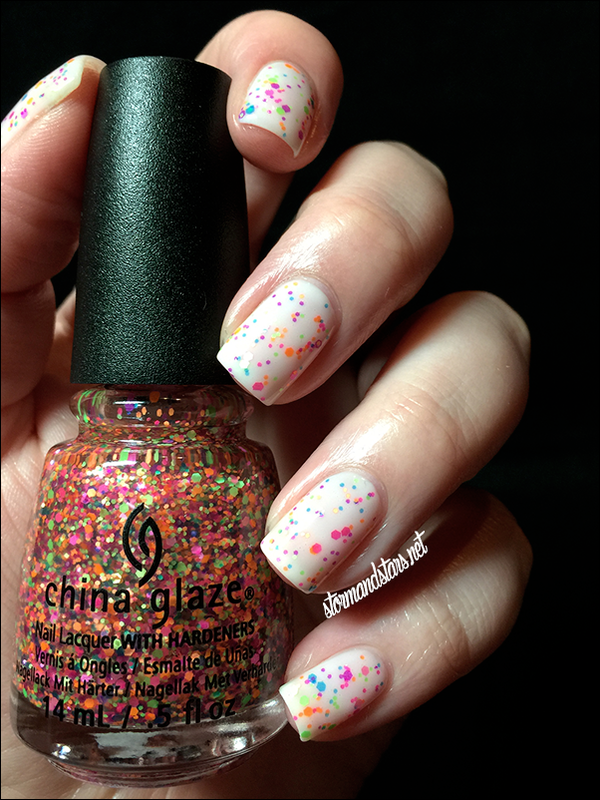 I used one coat of this glitter polish over a base of the lovely Jolie Polish White Crelly and I am in looooove. This combo works so well for me. 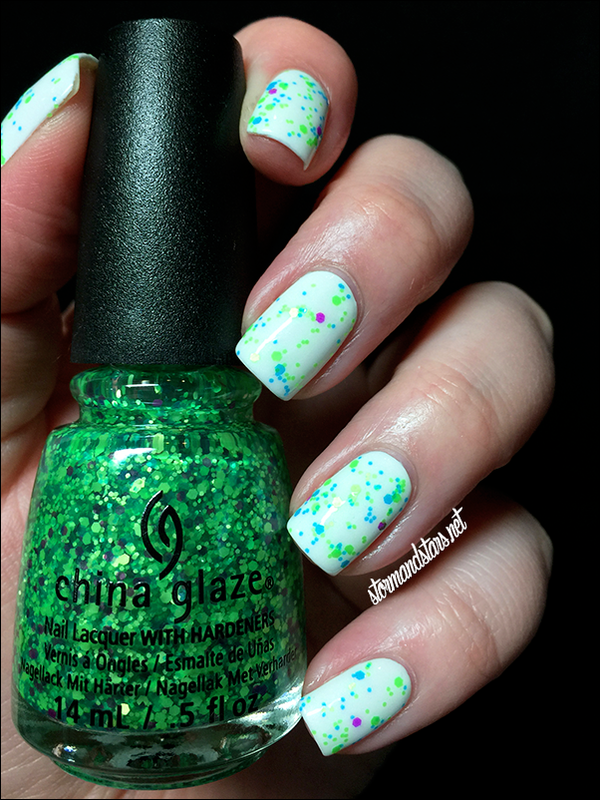 The formula on the glitter was great and after a quick coat of topcoat everything smoothed out like glass and looked really amazing. The one thing I did notice with all the glitter lacquer is that the bases are slightly tinted. I do not know if this is from bleeding glitter or not, but I am guessing it is as the neon glitters are notorious for bleeding. If you're going to be angry at bleeding glitters, purchase with caution. I hope you enjoyed seeing these shades as much as I enjoyed playing with them! Have you bought any new neons this summer? What were your favorites from this collection? 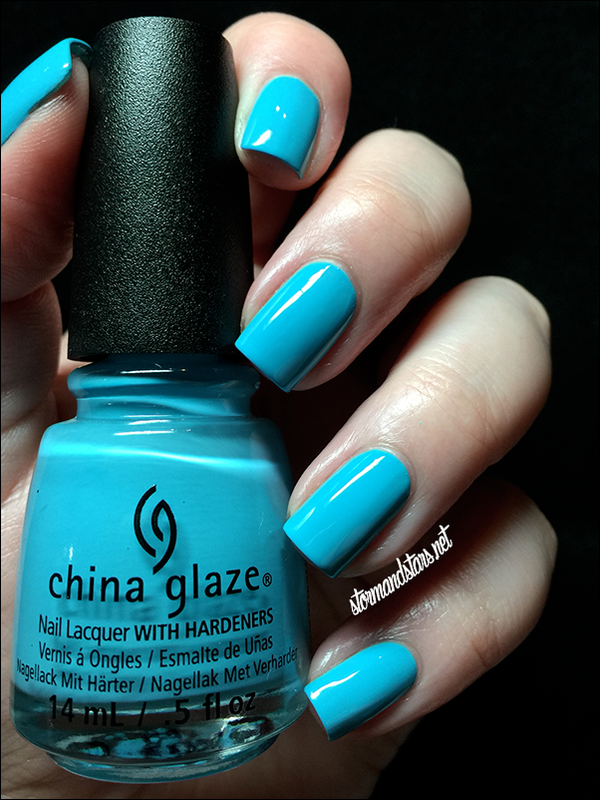 You can purchase these shades wherever China Glaze lacquers are sold! 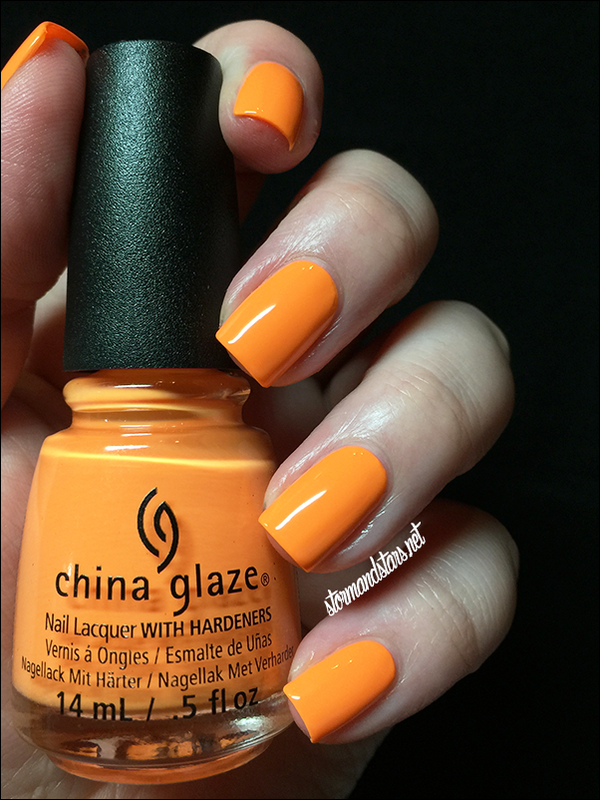 Make sure you follow China Glaze on social media for updates about the brand and swatches and nail art from other bloggers and artists!